Commercial fishermen may lose their livelihoods to the Gulf oil spill, but it’s the little things that count, right? The United Commercial Fisherman’s Association (UCFA) scored a temporary restraining order against BP this week, requiring the company to claim responsibility for hazardous chemical exposure oversight for fishermen involved in the oil spill cleanup effort. In order to protect their homes and livelihood, commercial fishermen in Louisiana and other Gulf States have volunteered to assist BP in its clean-up efforts and have entered into agreements known as the Master Vessel Charter Agreement (MVCA) requiring them to provide the services of “tending or deploying boom and skimming equipment, skimming equipment, skimming operations, recovering oil debris, collecting garbage, assistance with wildlife operations and towing equipment.” Certain sections of the MVCA, which required fishermen to waive their legal and other constitutional rights in order to be employed, were declared void by the U.S. District Court earlier this week because of emergency legal actions taken by Mr. Barisich and his attorneys. BP actually claimed that the inclusion of the waiver was a mistake–a prospect we find hard to believe. 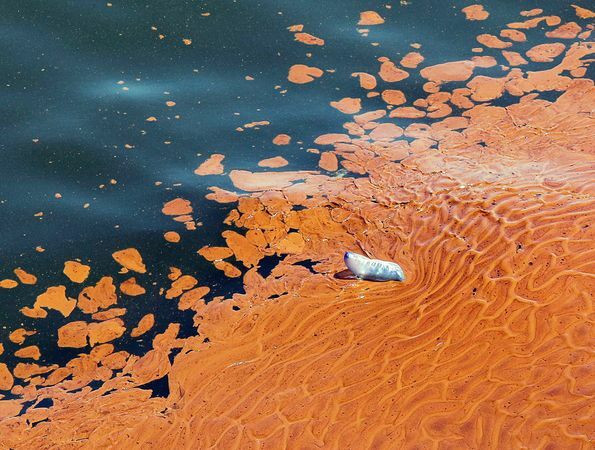 Regardless, BP now has to provide fishermen with proper equipment, train them in haz-mat protocol, and generally make sure that the volunteers don’t get hurt because of exposure to toxic oil goop. You know, things they should have been doing from the beginning.